Ah! Just in time for Halloween!! Just kidding. 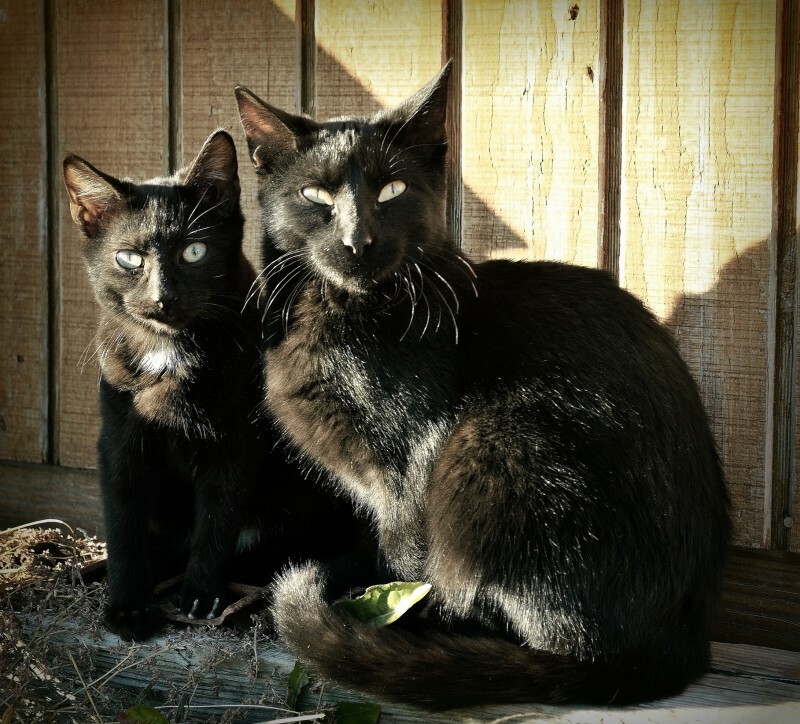 They are beautiful and not the mischievous black cats that look to cause trouble around the Hollows Eve. You are always finding great subjects to take pictures of. Keep shooting those great shots Sharon!